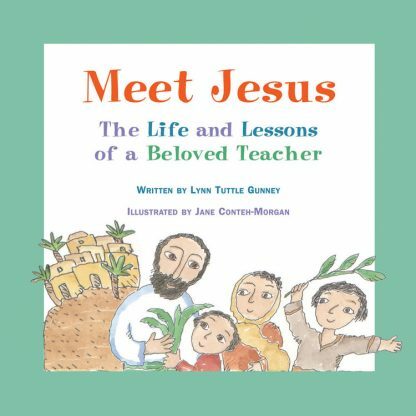 Meet Jesus is a picture book that introduces young children to Jesus and his lessons of love, kindness, forgiveness and peace. Meet Jesus emphasizes the humanity rather than the divinity of Jesus, giving the story broad appeal for liberal or progressive Christians and non-Christians alike. Bible passages corresponding to the story text are included in the back of the book. Lynn Tuttle Gunney teaches religious education to children at Mount Diablo Unitarian Universalist Church in Walnut Creek, California. When Lynn was unable to find a book about the historical Jesus to use with her children and students, she decided to write one. A writer all her life, she is a member of the Public Relations Society of America and the Society of Children?s Book Writers and Illustrators. She lives in the San Francisco Bay area with her husband and two young children. Jane Conteh-Morgan has illustrated children's books including Cow Moo Me and Oink Oink: And Other Animal Sounds.